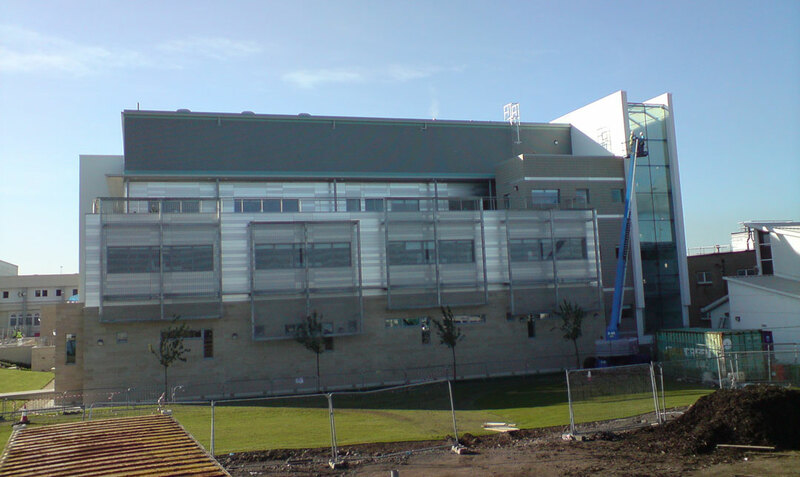 One of many successful projects carried out for Balfour Beatty over the years, Scotstream were delighted to be involved in one of the first new buildings at the Queen Elizabeth University Hospital development in Glasgow. 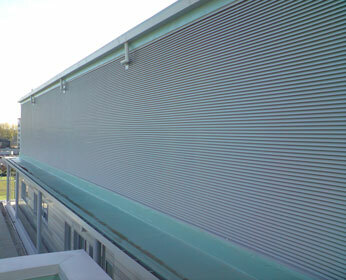 Providing complete design, supply and installation of plantroom wall louvres, incorporating 50mm pitch louvre system with a combination of active and inactive areas, differentiated with insect mesh and aluminium blanking to the rear. Designed to integrate with surrounding cladding structure, with perimeter flashings sealed against Sarnafil roofing. 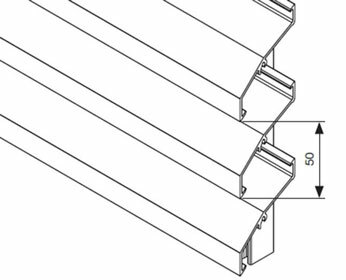 Incorporation of louvred doors within the façade to provide access to external plant equipment while keeping the continual blade appearance.